UPDATE: The Lower Merion Township Commissioners approved the full construction budget for the Cynwyd Heritage Trail on December 8th and approved a final budget on December 15th. Thanks to everyone who came out to show their support! Construction should begin in February. 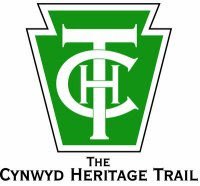 Cynwyd Heritage Trail needs your support on December 15th at 8pm Budget Meeting. The Friends of Cynwyd Heritage Trail is asking supporters come out once more to the ensure that the last vote by the Lower Merion Township Commissioners is a "yes"! The meeting is scheduled for Wednesday, December 15th at 8:00 p.m. at the Lower Merion Township Building. The allocated funds passed the Finance Committee last week. However, there is a risk that opponents will push to have it removed from the Capital Improvement Plan (CIP). The Township budget meeting is tommorrow evening, Wednesday, December 15 at 8:00 p.m. at the Township Building, 75 East Lancaster Avenue in Ardmore. Supportive Commissioners have told the Friends of CHT that trail supporters' presence at the meetings is critically important. If all the "yes" votes hold, the decision to fund the trail as designed will have only a ONE vote majority. As this is the final vote on the budget, there will likely be many more oppositional public comments. So, for the Cynwyd Heritage Trail, an important connection to the Schuylkill River Trail, to be realized next year as originally designed, please attend the budget hearing this Wednesday, December 15th at the Township Building, and if you have one, wear a green CHT T-shirt to show your support.